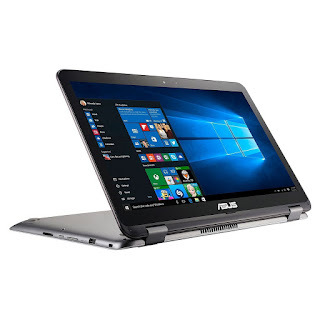 Great deals on great laptops! Looking for a new high-performance laptop? Of course, you want one that will be reliable, cost-effective and capable of handling any task you need! Here it is, folks: the laptop deal of the season! I still own and use its predecessor, the TP500LA, every day. I found it really slow when I first bought it, but pretty soon, I replaced the hard drive with an SSD, which is much faster and more reliable. That single modification transformed the computer from sluggish to speedy! But if you buy this laptop, you won't have to worry about replacing the hard drive with a faster and more reliable SSD. It already comes equipped with one! While the included 128 GB isn't that much storage, you can fix that with a leave-in flash drive like the 128 GB SanDisk Ultra Fit 3.0 ($37), which I use myself, or the even smaller JetDrive Lite (128 GB is a far pricier $97, but at least it will sit flush with your computer's frame). The included 4 GB of RAM and i3-6100U are nothing special. However, I've been waiting for years for computers like this to become widespread! The key to this being a great deal is: a) the use of an SSD, the benefits of which I can't advocate enough, and b) the reasonable price. A reliable computer with a decent processor, at least 4 GB of RAM, and a decent-sized SSD of at least 128 GB doesn't need to cost more than $450-500! Since this one comes in at under $450, it gets the top Froogal Stoodent seal of recommendation! If you are on a very strict budget, you could buy a low-powered Windows machine or Chromebook...or you could spend $300 on a refurbished Lenovo Thinkpad with a 128 GB SSD running Windows 10! 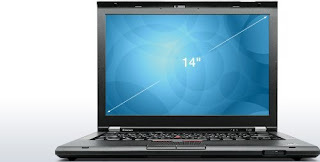 Thinkpads are very well-regarded in terms of quality, reliability, and user comfort. They're also often used by computer geeks who want to install and run Linux on their laptops. Hey, if it's good enough for them, it's good enough for you, too! 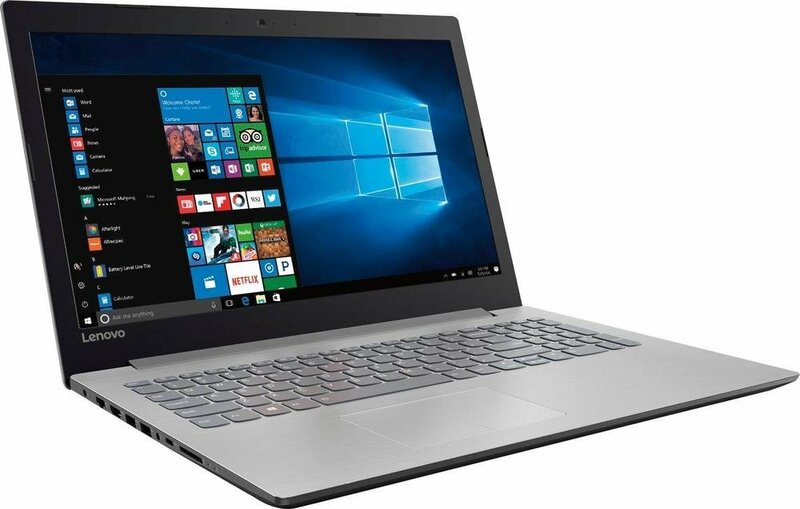 Even though this isn't exactly a good-looking machine (or a brand-new one, for that matter), it's what I'd buy if I needed a sub-$300 laptop! The third-generation i5 processor may be outdated (Intel is on the 7th generation now), but it's very fast nonetheless! And when paired with the 8 GB of RAM and 128 GB SSD storage, this machine should easily handle anything you'd need to do for school, business, or blogging. The only drawback I can see is that 128 GB really isn't a lot of space when that's all the storage space on your computer! A leave-in flash drive like the SanDisk UltraFit (which I've used for 2 and a half years with no problems) could solve that issue, though! $40 for an additional 128 GB of storage is a heckuva deal! This laptop is a business machine through and through: it isn't geared for gaming (though I know from experience on a similarly-specced machine that it can handle online MMORPGs like Star Trek Online). So as long as you don't have extremely graphics-intensive needs, this is an outstanding bargain on a reliable, workmanlike laptop. Fast processor and capable graphics? Check. Plenty of RAM for multitasking? Check. Speedy and reliable SSD storage? Check. Nonreflective matte screen (good for use outdoors or in direct light)? Check. Connectivity? With two USB 3.0 ports and a USB 2.0, an HDMI port, a VGA port, an SD card reader, and an optical drive for CDs and DVDs, there's not much that won't hook up to this machine! The major weakness here is battery life: Amazon reviewers cite a battery life of under 4 hours! This is due to the processor's relatively heavy maximum power draw of 35 watts (over twice the 15W max of many mainstream laptop processors). The advantage of such heavy power usage is that the processor is powerful enough to tackle virtually any task; the disadvantage is obviously that slurping power at such a prodigious rate harms battery life. This used to be available for under $460 on Amazon; I'm not as thrilled about it at the current $600 price. But if it goes back down below $500, that's a really good deal for a machine like this one! I don't usually recommend Acer, as they routinely show up poorly on reliability surveys and tests. 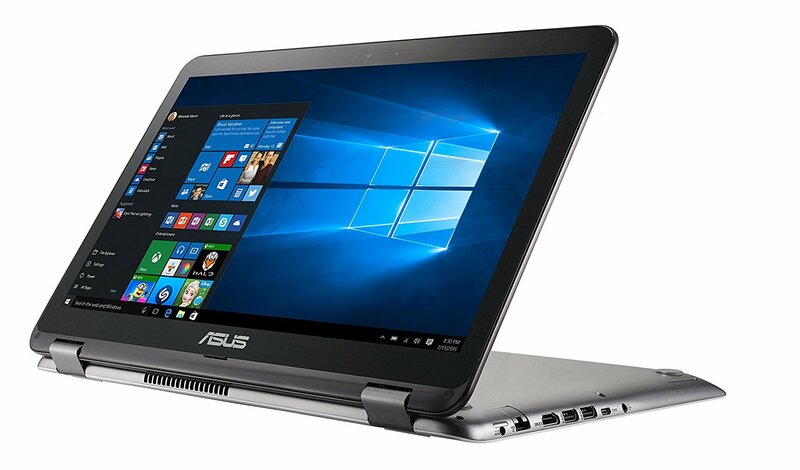 However, if you're not willing to spend the extra $100 on the ASUS above (or if the price of the ASUS above rockets upward, which sometimes happens on Amazon without warning), this is a good alternative. 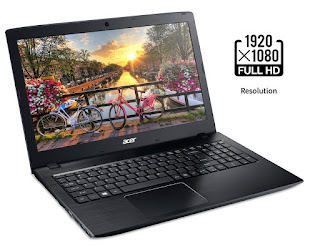 This Acer lacks the touchscreen and 2-in-1 design of the ASUS R518, but like that laptop, this Acer is very powerful for the price and sports a speedy SSD. 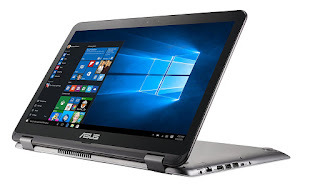 Personally, I'd rather get the ASUS R518 listed above, as ASUS has a better track record of making reliable computers, let alone the features that this Acer lacks (like a touchscreen and an extra hard drive to maximize storage). But if you need a powerful PC on a tight budget, this laptop will still be able to quickly tackle any task, from simple word processing to video editing! There are two versions of this computer at the above link. One has a massive 1 TB hard drive; the other has a noticeably speedier 256 GB SSD. I've extolled the virtues of SSDs many times before. It would be cheaper for you to buy the $400 version with the 1 TB hard drive, then buy a separate SSD like this one or this one for about $70-80 and install that yourself. But some people may prefer to avoid the DIY hassle and spend the extra money to get one that comes with an SSD to begin with. If you're comfortable with computer DIY—or you're willing to learn—then you can save a few bucks by installing the SSD yourself! [And if you do this, you'll have a 1 TB drive for backup storage, to boot]. Otherwise, do yourself a favor and buy the version that already comes with an SSD. Again, if you're willing to do a little DIY installation, an SSD like this one is a great way to turn this laptop into a burner that'll be just as fast as something twice as expensive! The A12 processor is quite powerful, and the 8 GB of RAM is plenty for most people's usage; furthermore, the 5-hour battery life is pretty solid [not great, but not terrible]. A good value even if you don't replace the hard drive...but you'll be better off if you do! 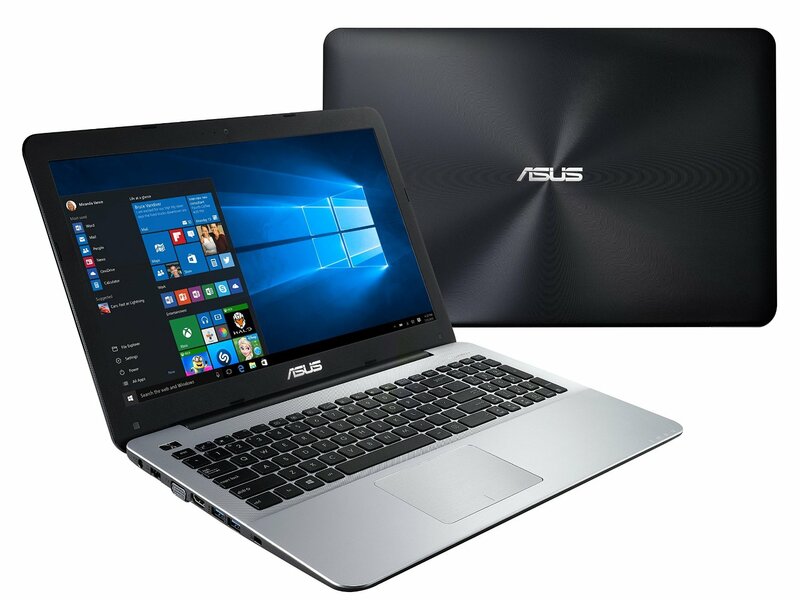 A 2-in-1 design, a Full HD 1080p touchscreen, and an i5 make this a remarkable laptop! I originally figured that 2-in-1 designs were gimmicks...that is, until I bought the ASUS Flip TP500! It can be surprisingly handy, and you don't really realize how helpful a 2-in-1 can be until you use it. But the fancy hinge isn't the only useful feature on this machine; it's also very powerful and has plenty of storage space. Battery life is decent but unspectacular at about 6 hours, but that's only to be expected for a machine with a dedicated graphics card. The SSD makes the machine run faster and uses a bit less power than its traditional counterpart, the mechanical hard drive. However, the inclusion of a 1 TB mechanical hard drive in addition to that SSD provides ample storage space, while Windows itself runs off of the speedy SSD. The best of both worlds! For a wider variety of alternatives, see this list. Use the price I've listed to determine whether a laptop is actually a good deal, however. And scroll down for a how-to guide to maximize your Windows laptop's battery life! Want to work in peace? 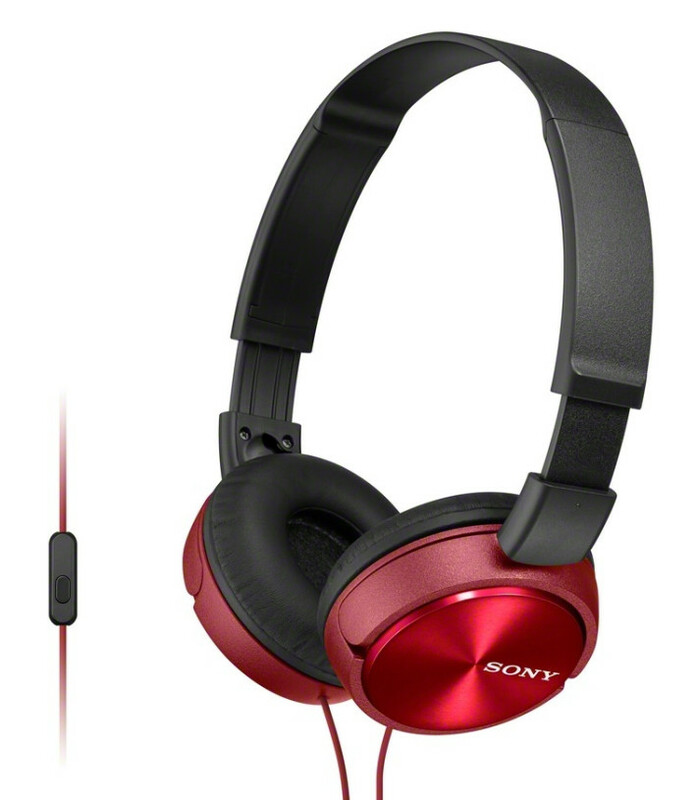 My favorite headphones will shut out the world...without busting your budget! And once your new laptop arrives, check out my list of the best FREE computer programs! movie watching, song listening, use of internet etc. I am looking for Amazon Basics Backpack for my new Lenovo Thinkpad anyone here have used before? Thanks for the valuable information you have shared with us. This Articles are very informative and helpful too. I would love to recommend this Article to everyone who are great Gadget lovers. Get best deal on every electronic product. Click here to know more. 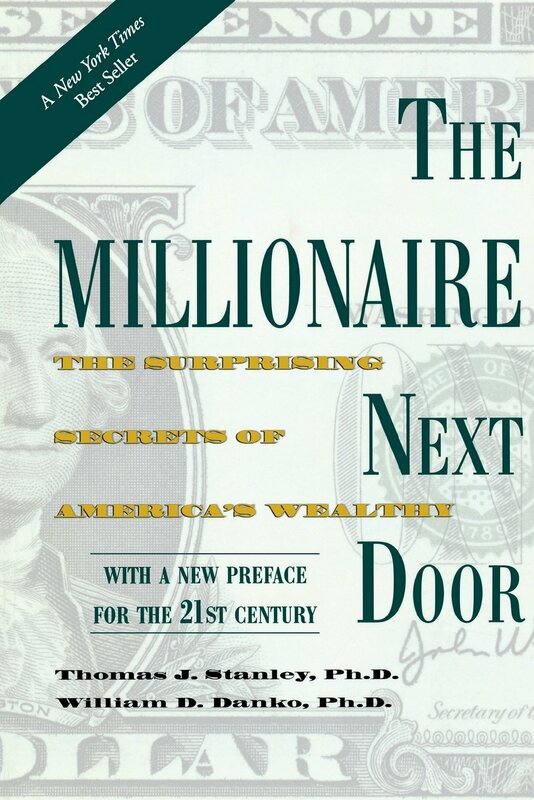 Is $3 million enough to retire? 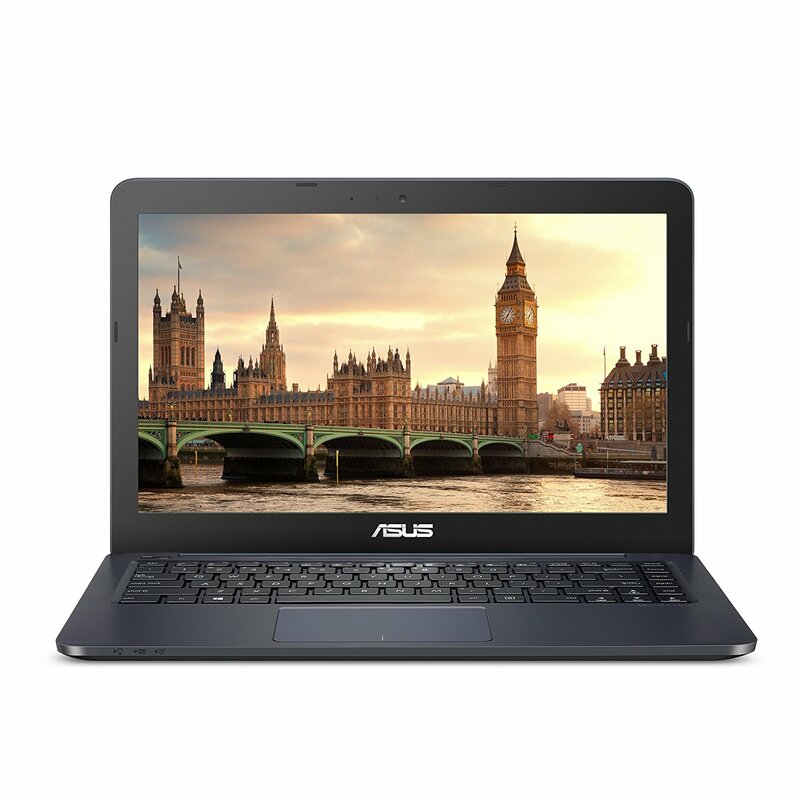 Best laptops for bloggers and students Looking for great deals on the best laptops? Look no further! Tired of expired coupon codes? Try Coupons Plus Deals, the web's most accurate coupon site!